No matter what your budget is we have a tuxedo for you, and if you don’t know the first thing about tuxedos – that’s just fine! Our online tuxedo builder will easily let you build your tux – walking you through each step, until you’re finished! We offer four package ‘tiers’ each with a mix of quality tuxes, brand names, and features – how much you spend is up to you, and depends on your tastes. You’ll need your tuxedo sizes to check out – but don’t worry, you can build your tux now and save it to enter your sizes at a later date. So, what are you waiting for – start building your prom tuxedo! Whether this is your first prom, or last – it’s never too late to ask some questions. Here are some of our favorite questions we have gotten from our customers about prom and formal wear. 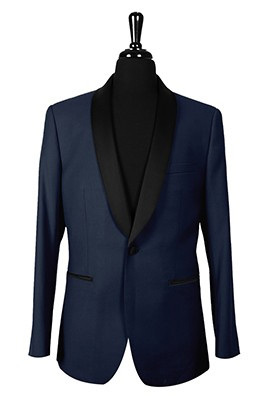 When should I rent my tuxedo for prom? It’s always good to plan ahead! We recommend placing the order for your tuxedo as soon as possible, though if you are one for procrastination, try to get it done no less than 14 days before prom. This allows time for delivery and ample time for try-on and exchanges in case something doesn’t fit quite right. My Prom Is in less than two weeks and I don’t have a tux, what do I do? Don’t sweat too much – it’s a tight situation but not dire. If your prom is at least 16 days away, you can still place your order with ground shipping. However, if your prom is less than 16 days away – you absolutely should choose an expedited shipping option at checkout so that you can have a guaranteed delivery date. Be sure to use our tool to estimate shipping costs and availability for your specific scenario. If you’re in this situation, the faster the shipping method you choose, the more time you have for try-on and making any potential last-minute exchanges. If your prom is coming up and you have time to spare… don’t hesitate too much. Don’t put yourself in the position where you need to pay higher shipping fees to get your tux last-minute. A local rental store won’t be able to help at short notice, either – their rental stock is stored in an off-site warehouse and needs time for delivery to the store, and you’ll pay more than you would renting online! Do I have to spend a lot of money on a prom tuxedo? Not if you order online at NTR! 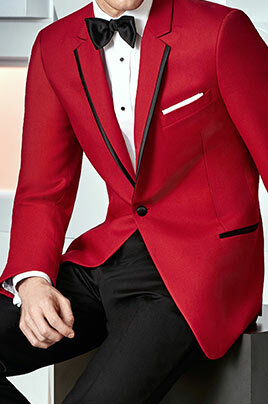 While you can expect to pay no less than $100 for a cheap tuxedo from your local tuxedo rental chain, you can get a similar or better tux online for much less. You can build a complete prom tuxedo package for just $79 from our online store. If you’re looking to go high end, even our best tuxedos only go for $119 (the same tuxedo you would pay well over $200 for elsewhere) – and there are plenty of in-between options. Running our business online allows us to offer prom tuxedos for impossibly low prices that can’t be matched by your old-fashioned rental shop. Online is easier and cheaper – if you don’t believe us, we invite you to see for yourself! Should my accessories match my date’s dress color? Unless your school has a dress code that specifies you need to coordinate with your date, the decision of whether or not to match your date’s garment color is entirely up to you! You should discuss it with your date – do you want to match? Does he or she want it to match? It’s a personal decision. You may have heard that matching is the way to go – it can be a nice touch! Don’t forget, you can also coordinate without matching! Pick a theme, get creative. If you have school colors, perhaps your date could wear one color while you wear the other. You can also just pair colors that look great together – Have Fun! It’s Prom! Looking for a great deal on a prom tuxedo? We have the best deals on them. Are you at a complete loss when it comes to formal fashion? That’s fine! Being a fashion expert is not a requirement for wearing a prom tux, especially when you have these handy tips at your disposal to look great at prom in 2015. While most guys attending prom will be wearing the classic black and white tuxedo, opting for different color options such as a grey, white or navy tux are great choices if you prefer to stand out. Bow-Ties are in right now, and for good reason. Nothing manages to take a tux up a notch and make you stand out like pairing your tuxedo with a bow tie. Alternatively, if bow ties are not your thing - opt for a skinny neck tie! They bring a fashionable coolness to a tux that wider ties just don't have when it comes to modern styles that appeal to younger crowds. Be Bold with Your Colors! Sometimes all it takes is a bold move to stop the show. No one will know whether or not you’re wearing a designer tuxedo – but everyone will notice a bright, bold color on your neckwear and vest. So when you choose your vest accessories, keep in mind – if you’re one for standing out, there’s no wrong color option. You can coordinate or match with your date – talk about it, find something fun! Have some other questions about your tuxedo, or renting in general? In addition to carrying some of the best tuxedos in the world, we also have a growing collection of high quality resources for tux rental. Check out some of these useful links to learn even more about tuxes. The Tuxedo Guide offers a number of formalwear fashion tips and basic tuxedo information to help you choose the best tux for you. Our tuxedo size and measuring guide will help you figure out your sizes on your own, or point you in the direction of a professional who can measure you for free, so that you have a perfect-fitting tuxedo for prom. Tuxedo Rental: How It Works will answer all your questions about renting a tuxedo online. Our Exclusive Gown Color Matcher will help you zero right in on the perfect match for your date's dress. Browse through Vera Wang, Alfred Angelo, David's, Mori Lee, Allure, and many more coming.